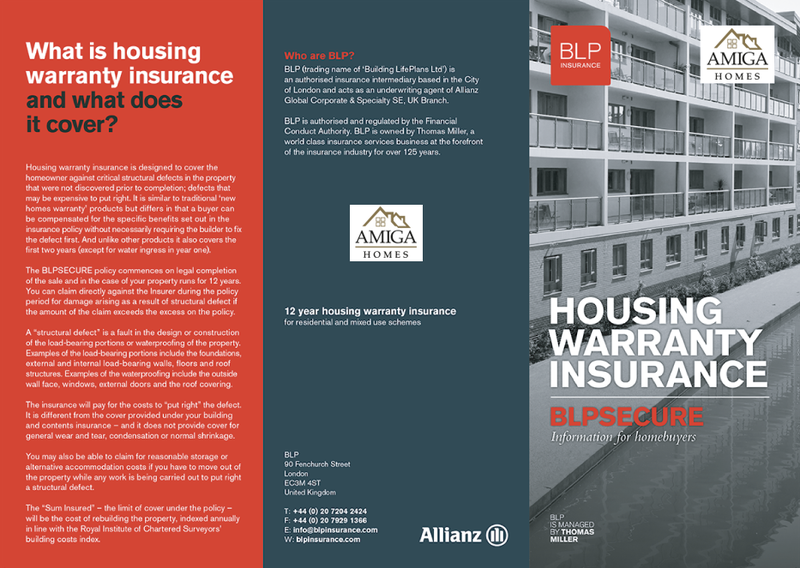 BLP is proud to provide the housing warranty insurance policies that come with the properties developed by Amiga Homes Limited. As a prospective buyer of the property, you are not being asked to buy building defects insurance or to agree to any terms or conditions of insurance. If you buy the property, the benefit of the insurance will be assigned to you without the need for you to agree or pay for the insurance. Housing warranty insurance is designed to cover the homeowner against critical structural defects in the property that were not discovered prior to completion; defects that may be expensive to put right. Amiga Homes Limited has arranged with BLP for their properties to benefit from the BLP product. In the course of those arrangements, BLP will have carried out an independent technical review, to ensure that the risks of defects are minimised and that the properties are suitable for insurance.